The HOT LIPS were founded in 1988 when, after the legendary Turk Street Stompers had disbanded, the band’s remaining members joined together with the Munich Rhythm Kings. Initially, they were particularly fond on the uncomplicated way jazz was being played at the Preservation Hall in New Orleans (and which continues to be played there until today). Since their formation, they have gone on to create their own unmistakable sound, thanks to trumpeter Michael Etzel, who has developed his skills as an arranger over the years to perfection. Currently, their material covers all eras from Ragtime (even without a piano!) to real New Orleans style, including Chicago, Vaudeville, early West Coast and even a bit of Rock ‘n’ Roll. The band not only performs in clubs and concert halls in the greater Munich area, but also tours throughout Germany almost every year. They have also delighted audiences abroad, for example in Austria and Italy. Of course, the band has taken part in various German jazz festivals as well as receiving radio airtime and appearing on television. They are often booked for private events, such as anniversaries, parties, weddings, jubilees and even funerals. 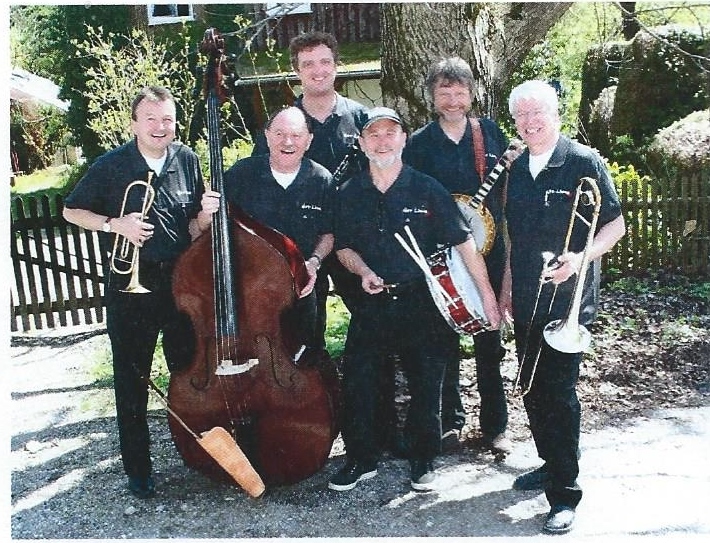 Michael “Hot Lips” Etzel (tp/voc/arr), Otmar “George” Dicker (b), Bob Straub (cl/a sax/b sax), Heini “The Tiny” Buckenmaier (dr), Wolfgang E. Ott (bj), Hannes Eickhorst (tb). Since 6th January 1991: No change in the line-up! 1993, first CD production: HOT LIPS “…just good music” on WHOOPEE Records. 1997, second CD production: HOT LIPS “… more good music” on WHOOPEE Records. 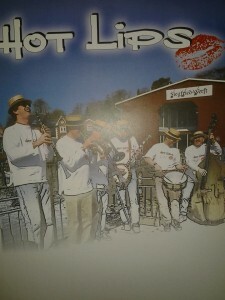 2006, third CD production: HOT LIPS “just friends” on WHOOPEE Records.